Albatros Aqua Park is abundant in choices to fit your activities and recreation needs. Enjoy exhilarating rides down our twisting, turning water slides, from which a cool splash in our crystal clear pool awaits you. Four swimming pools are perfect for plunging, while spacious sundecks welcome loungers who simply want to enjoy a sun-filled day. To relax with your toes in the sand, lounge chairs and umbrellas are located on the private beach nearby. For a grand slam or a slam dunk, you can enjoy our tennis, volleyball and multipurpose courts. For cardio workouts and weight training, a well-equipped fitness center is available. Enjoy Jacuzzi, steam bath and massage treatments in the wellness center. Mini golf and ping-pong round off the list of competitive activities. 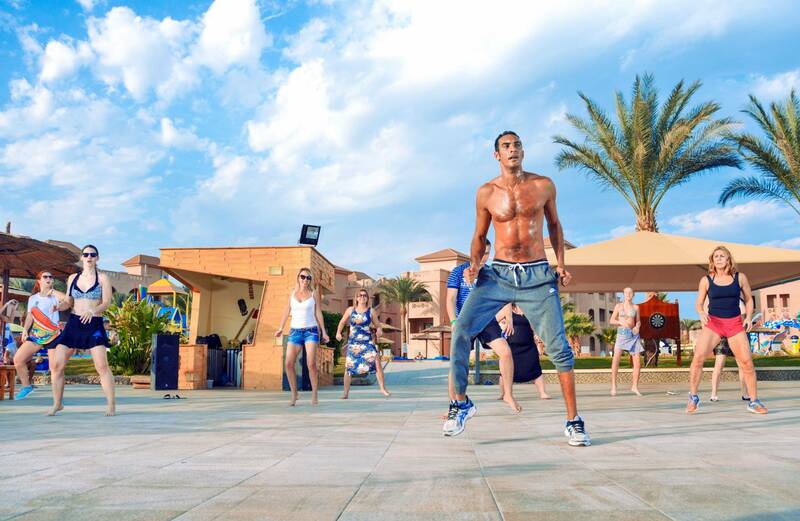 By night, indulge yourself with a sunset dinner, dance under the stars on a clear night and enjoy live entertainment with Egyptian and international style. Kids have plenty to enjoy on our playground. 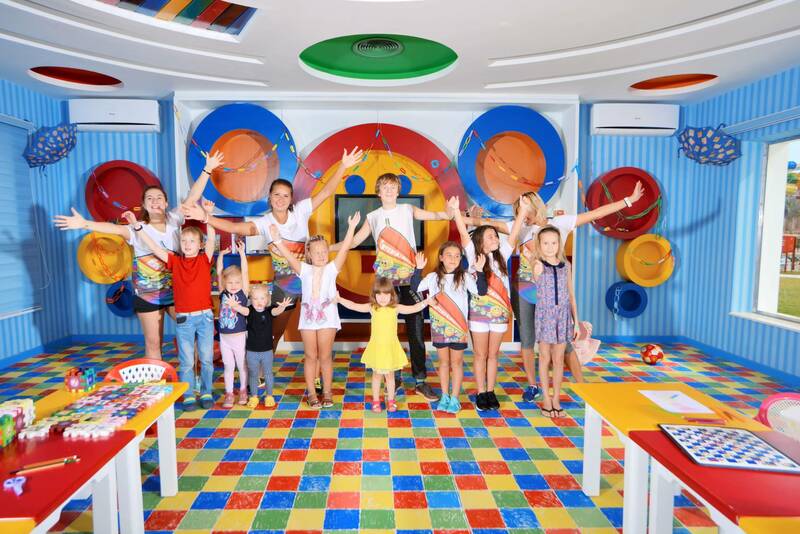 All Albatros Aqua Park Resort children’s activities are led by a qualified team of monitors in charge of making the children’s holidays as much fun as possible. The Kids Club is specially tailored for children between 4 and 12 years of age and is provided free of charge. 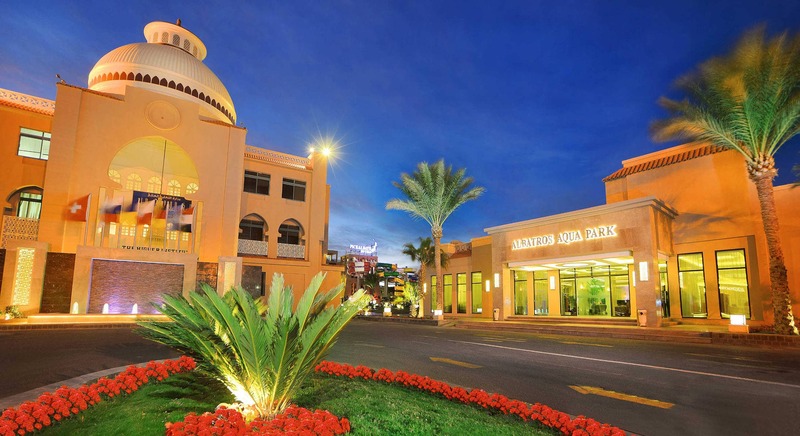 The resort’s Kids Club offers a wide range of activities. Our young guests enjoy creating art and crafts, movies, games, Egyptian story time and much more.